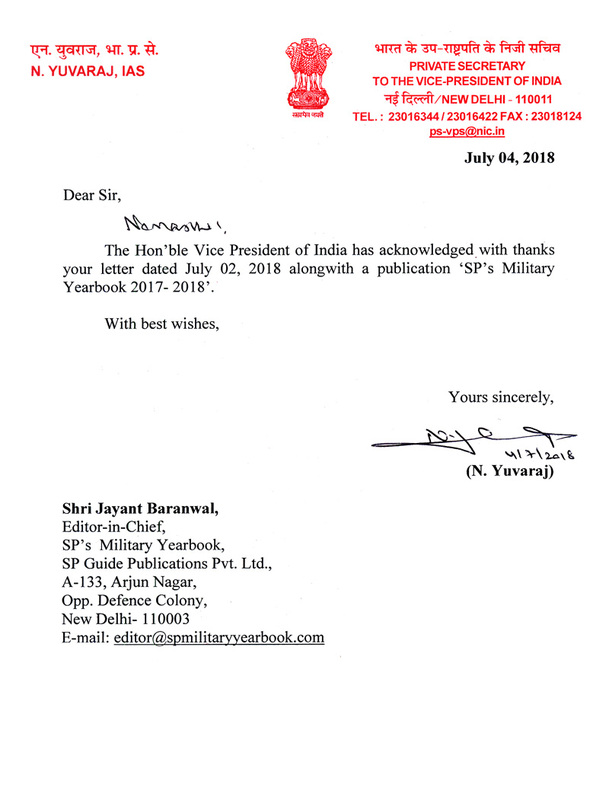 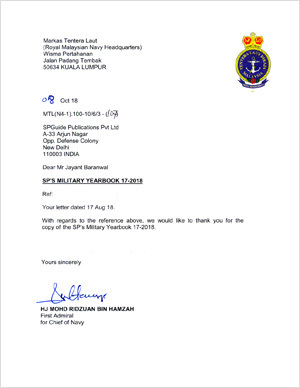 SP Guide Publications’ first and rather flagship publication, the Military Yearbook was launched in 1965 and rechristened as SP’s Military Yearbook in 1992, as a tribute to the Founder Editor Shri S.P. 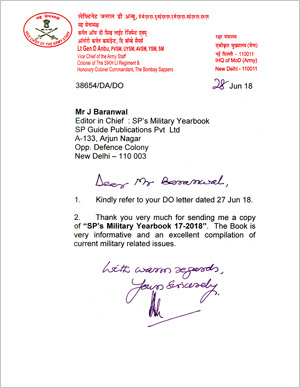 Baranwal who founded the company in 1964. 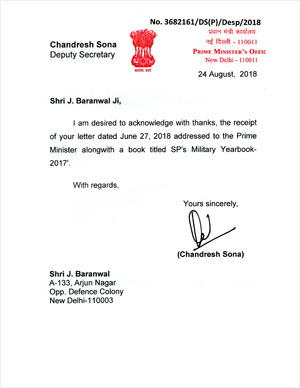 Editor-in-Chief, Jayant Baranwal presenting a copy of SP’s Military Yearbook to Honourable Union Minister for Defence, Smt Nirmala Sitharaman. 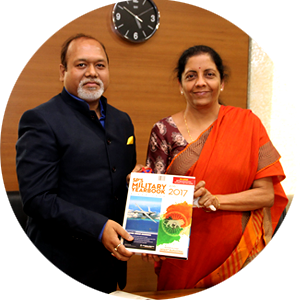 She was duly briefed on our range of focused publications. 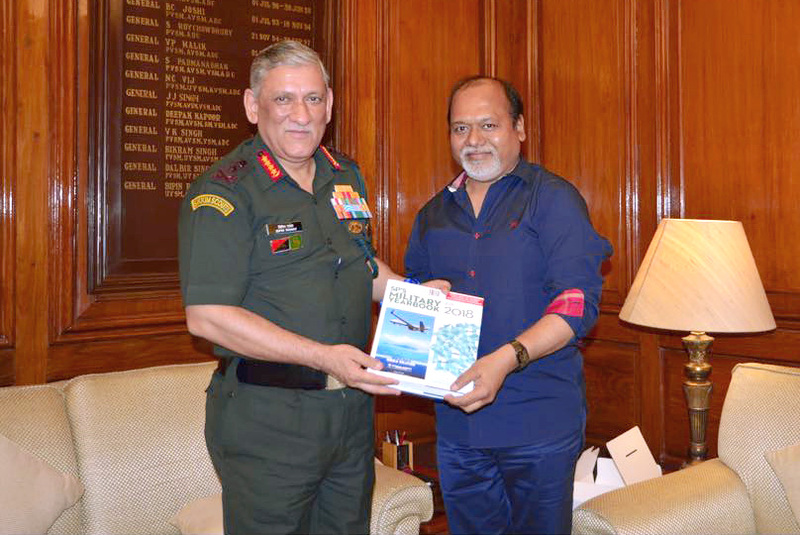 Editor-in-Chief, Jayant Baranwal presenting a copy of SP’s Military Yearbook to Chief of the Army Staff General Bipin Rawat. 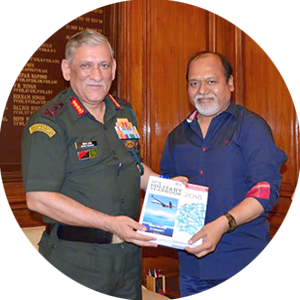 Editor-in-Chief, Jayant Baranwal presenting a copy of SP’s Military Yearbook to Chief of the Naval Staff Admiral Sunil Lanba. 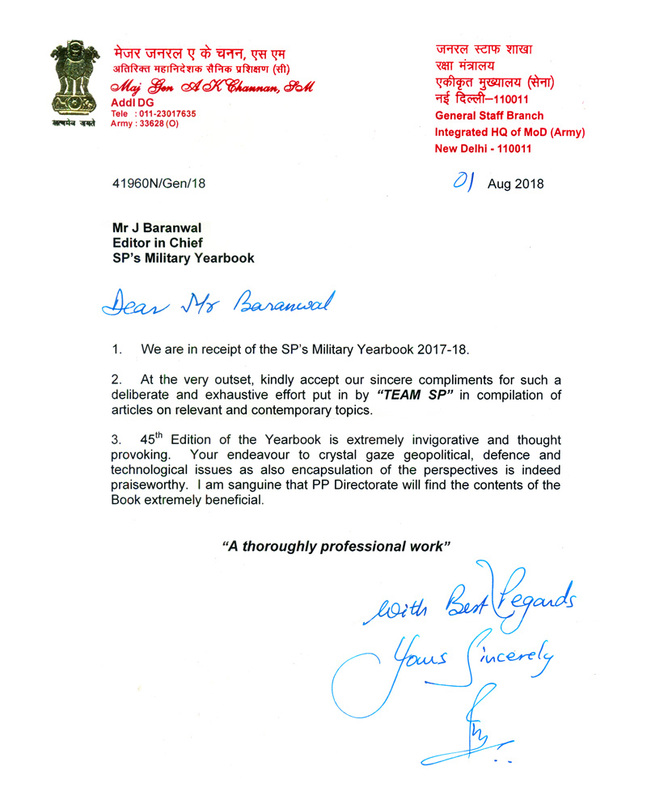 Present begets Present: SP Guide Publications CMD and Editor-in-Chief Jayant Baranwal presented a copy of SP’s Military Yearbook to IAF Chief Air Chief Marshal Dhanoa. 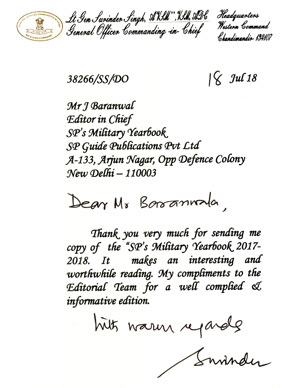 In turn, he too was presented by a gift that awesomely captured the occasion. 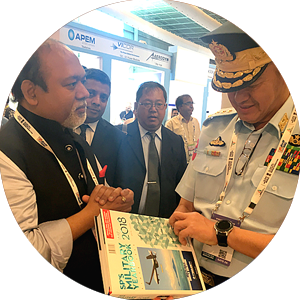 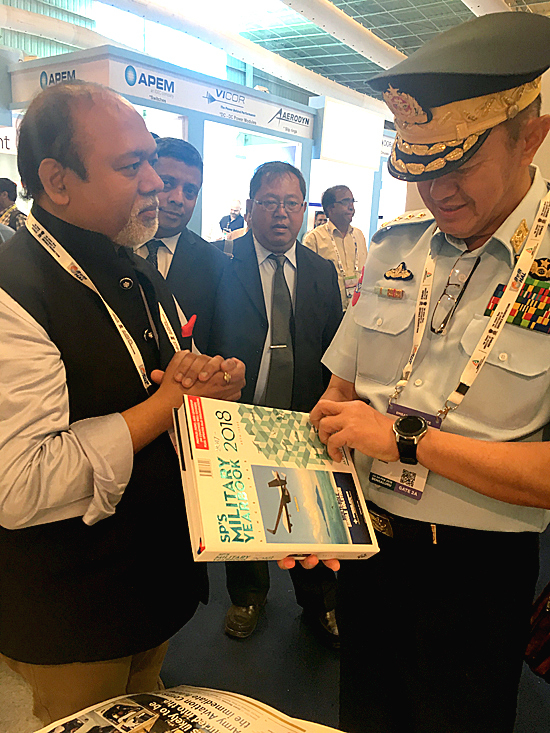 General Maung Maung Kyaw Commander-in-Chief (Air) Myanmar Air Force browsing through SP's Military Yearbook being published since 1965. 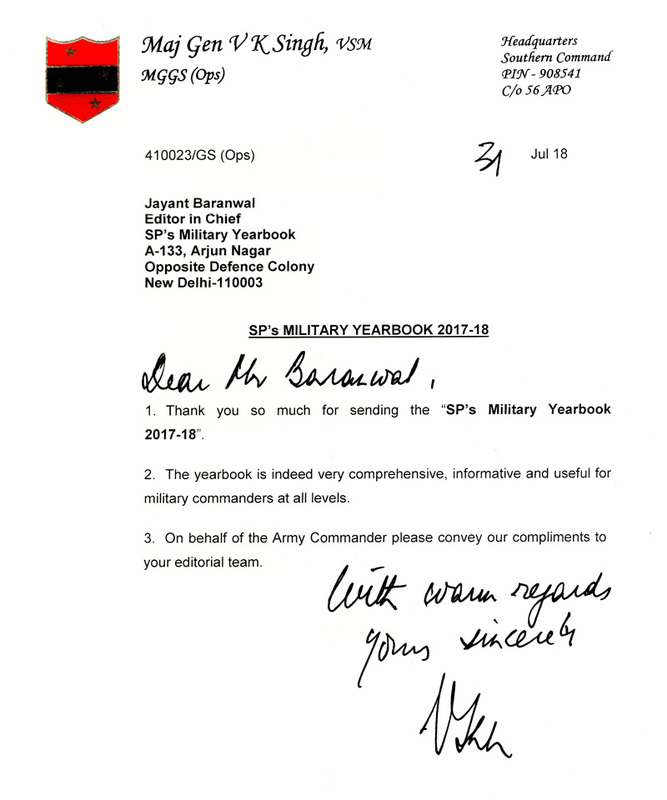 Was of great praise and appreciation for the efforts evidently visible in the Yearbook. 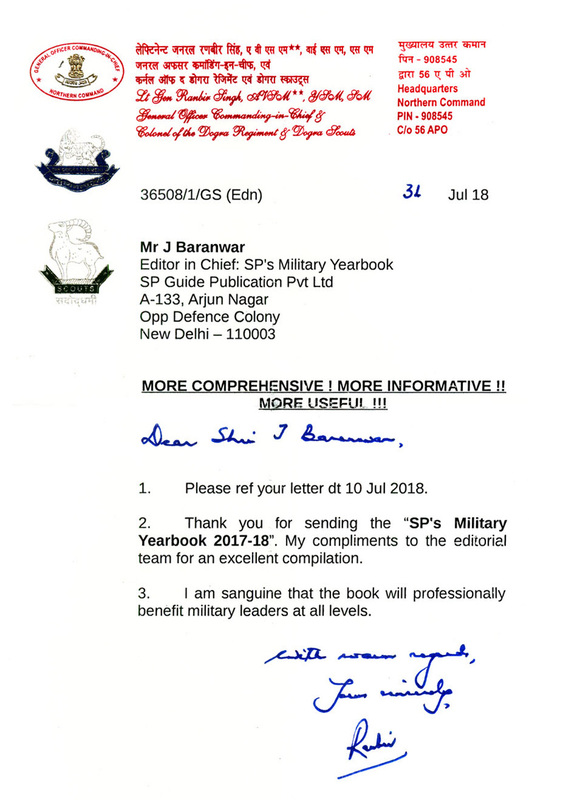 SP Guide Publications (SP's) first publication, the Military Yearbook that was launched in 1965 is regarded as an authoritative source of information not only in the Indian subcontinent and Asia, but the world over. 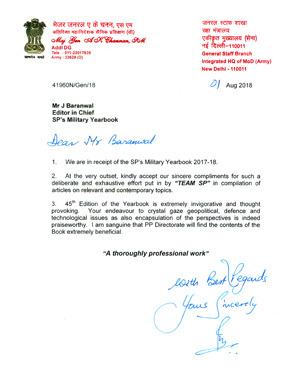 Over five decades running, SP’s Military Yearbook is so unrivalled in the vastness and depth of its coverage that it is considered a truly indispensable reference document for the armed forces. 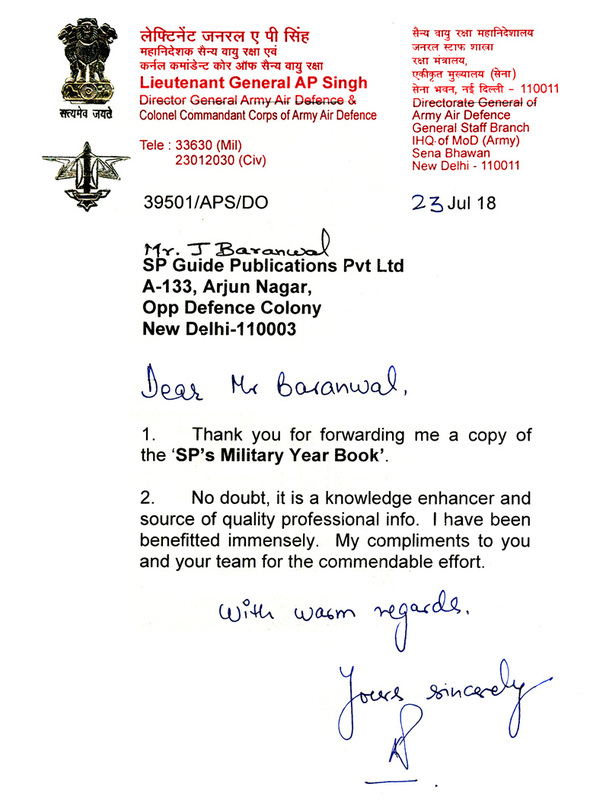 It is acknowledged by defense experts as a handy treasure house of military information for the armed forces on land, at sea and in the air. 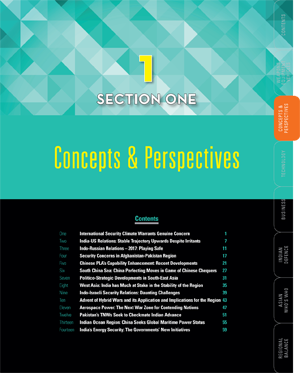 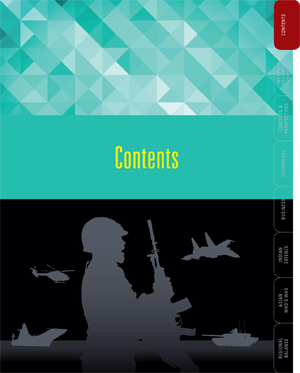 Contributors include serving and retired service chiefs and top subject experts from around the globe. 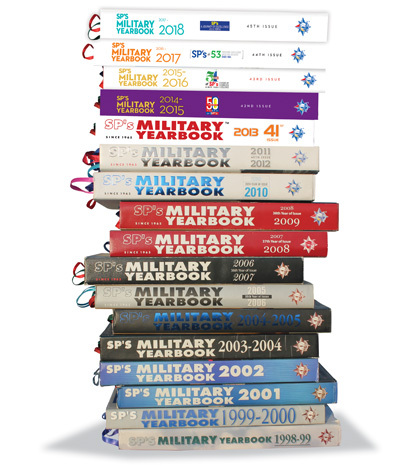 From a couple of hundred pages in the sixties and seventies to a solid hardbound edition of nearly 700 pages today, SP’s Military Yearbooks have seen spectacular growth. 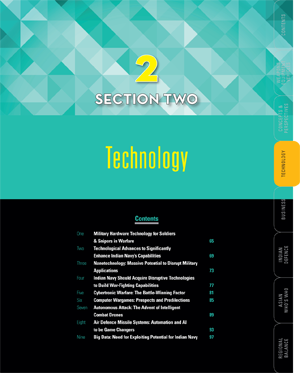 Its depth and range of articles and features is astounding. 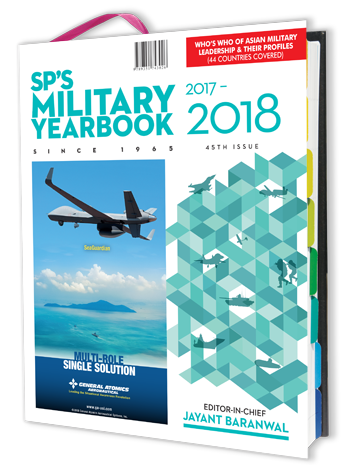 This edition of SP’s Military Yearbook is unique in its content with very significant and extensive additions and updates. 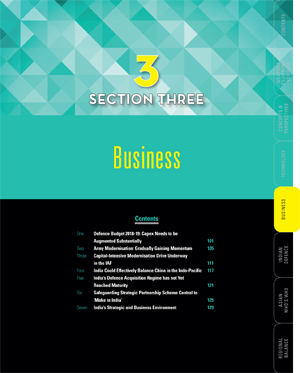 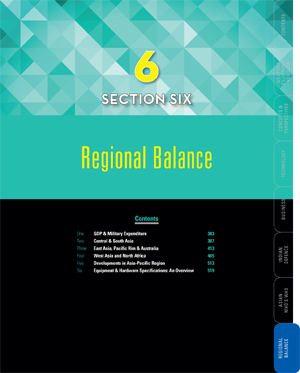 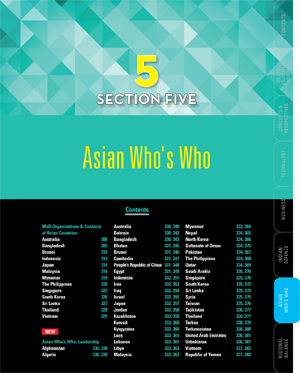 SP's Military Yearbook has been structured into a total of 6 key sections. 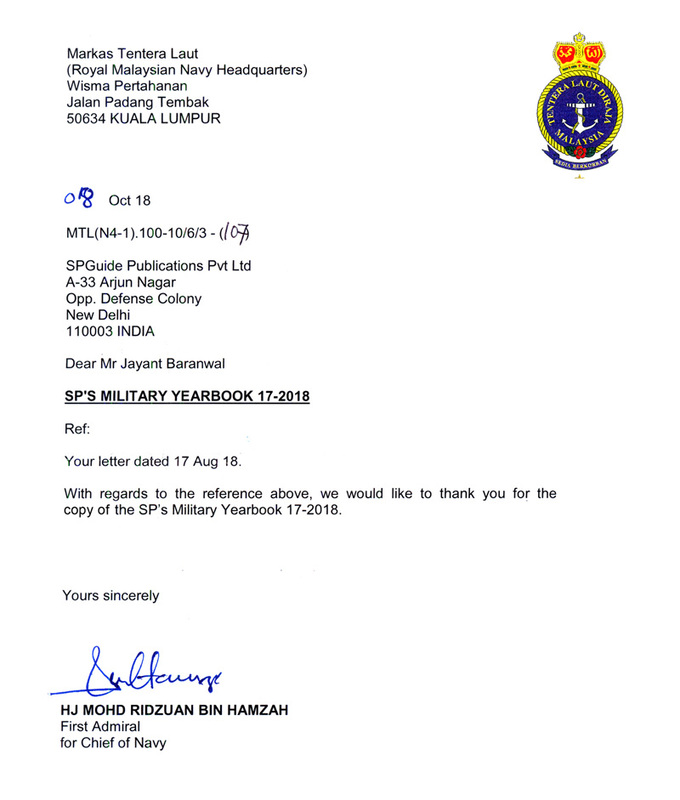 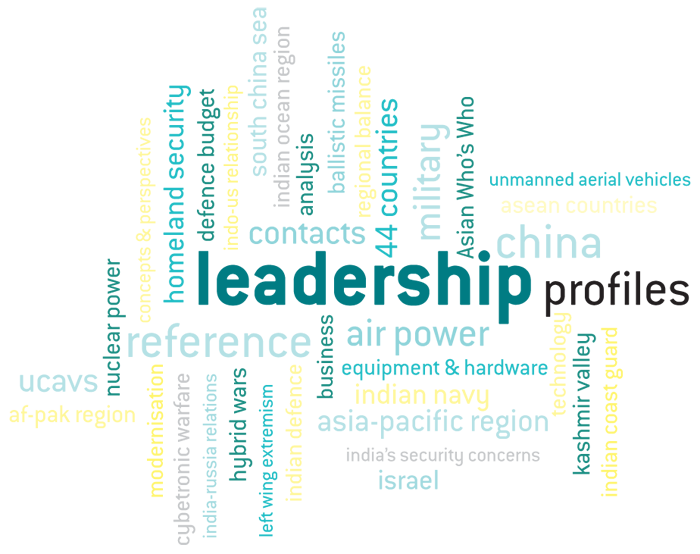 SP's MYB, comes from the house of SP Guide Publications, serving the Defense and Aviation knowledge space since 1964. 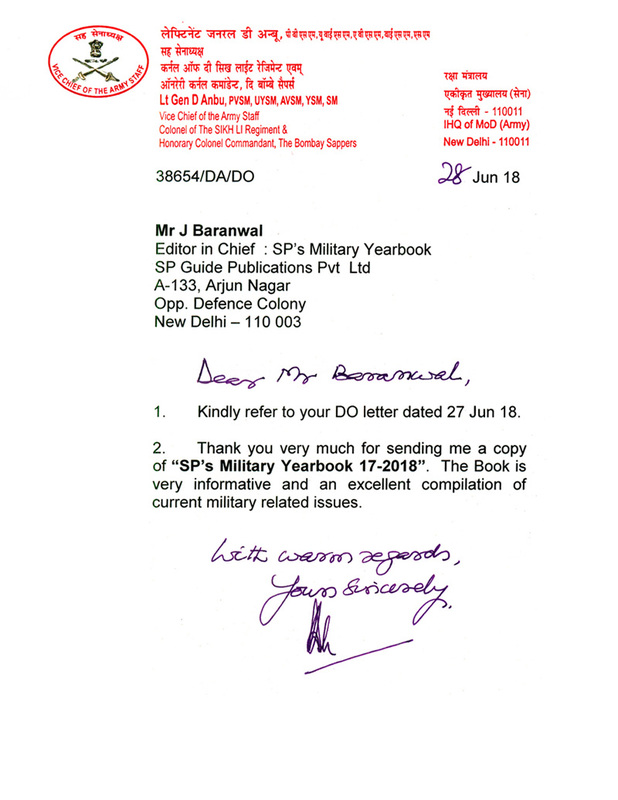 "The Guide Publications of New Delhi have brought out the Military Yearbook. 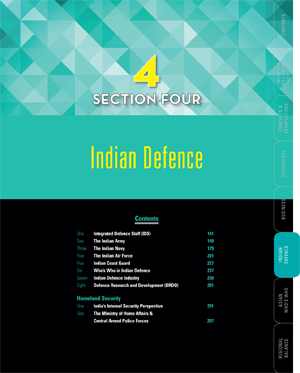 It is useful to have suitably compiled information in one volume. 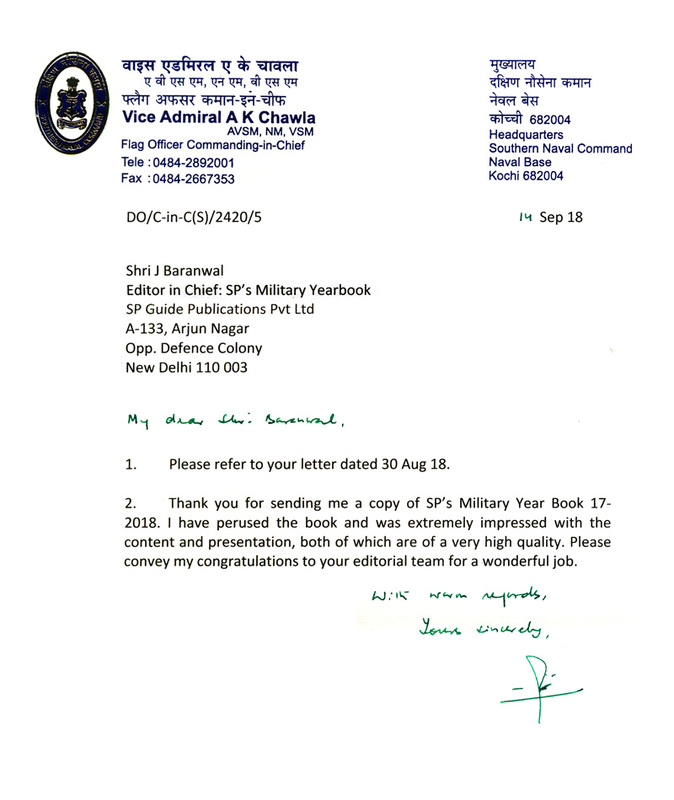 I commend the efforts of the Publishers." 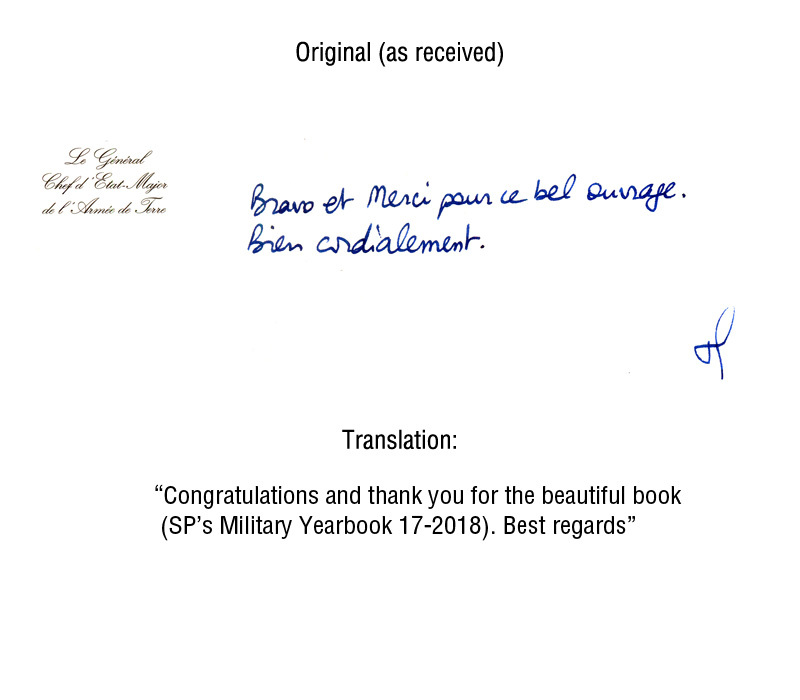 "It (Military Yearbook) is a valuable book." 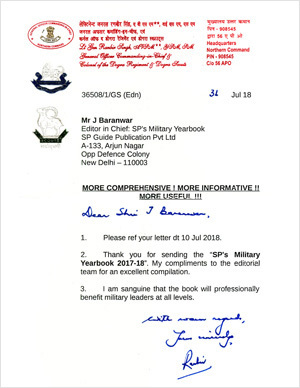 "It was good of you to send me a complimentary copy of Military Yearbook (1970)...I have gone through...and found its general get up good and contents useful." 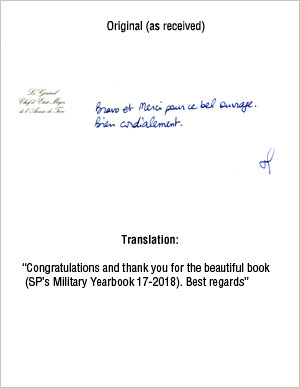 "Military Yearbook is indeed a very interesting and useful document and would be of considerable assistance to all the Services personnel whose profession is the science of war." 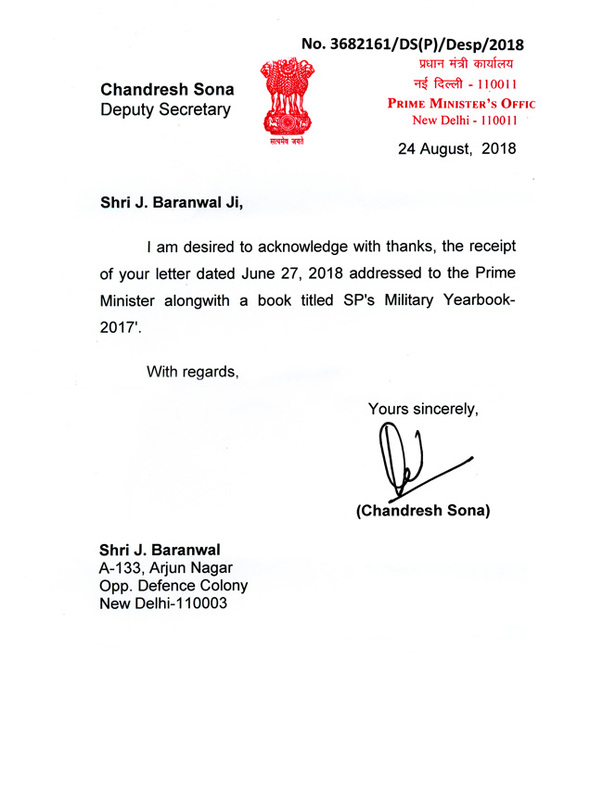 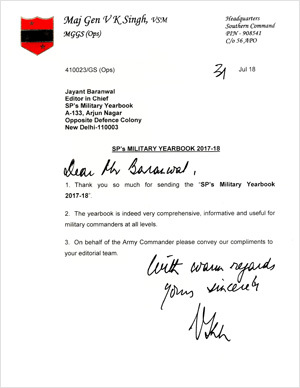 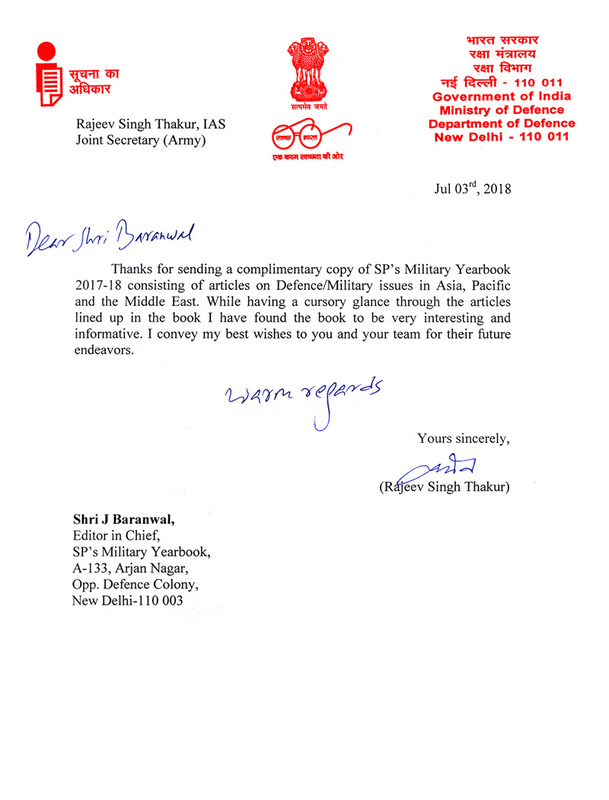 "Extend you my greetings and felicitations for your efforts towards SP’s Military Yearbook and wish you continued success." 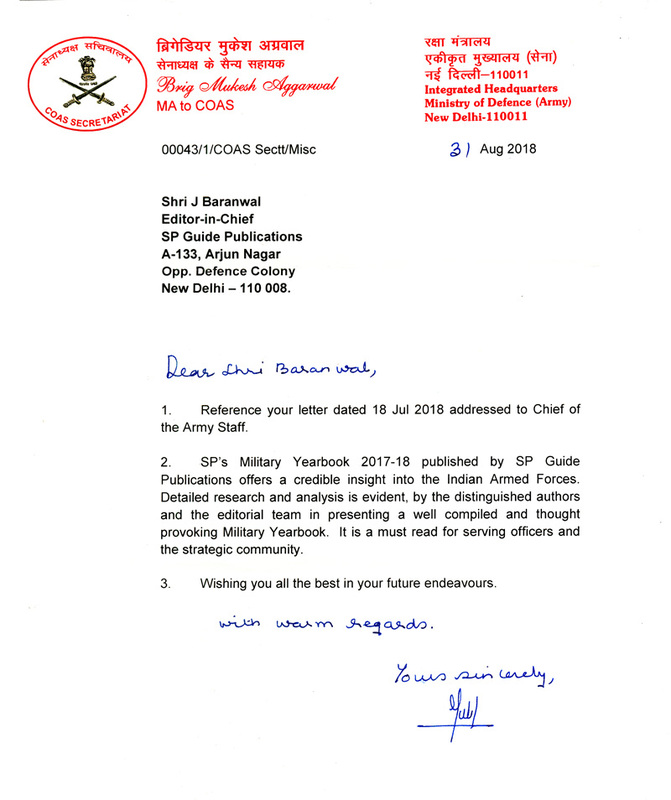 "In a country like India with limited support from the industry and market, initiating 50 years ago publishing magazines relating to Army, Navy and Aviation sectors without any interruption is a commendable job on the part of SP Guide Publications.... established the fact that continuing quality work in any field would result in success." 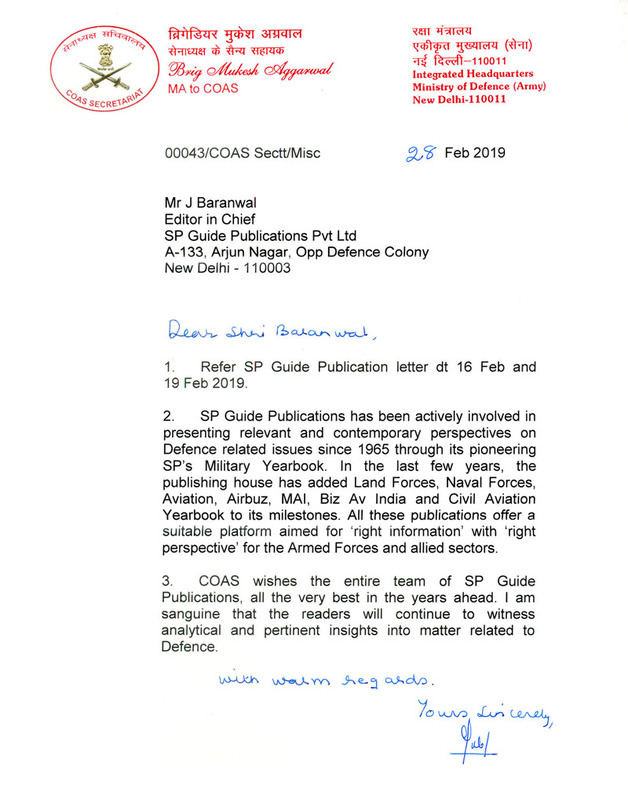 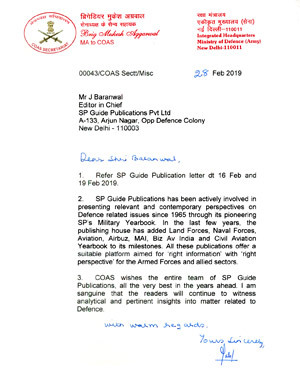 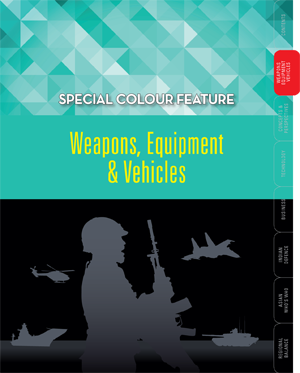 "SP Guide Publications over the years has created a niche for itself on matters relating to aviation, defence and security among the stakeholders. 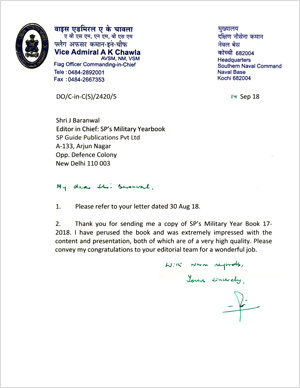 I convey my best wishes to the Chairman and Editorial Board for their sincere endeavours and wish them all success." 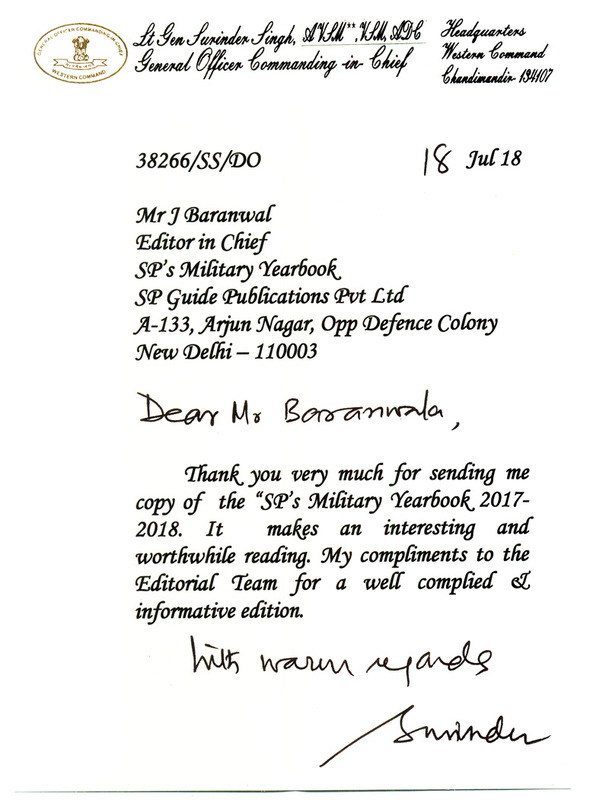 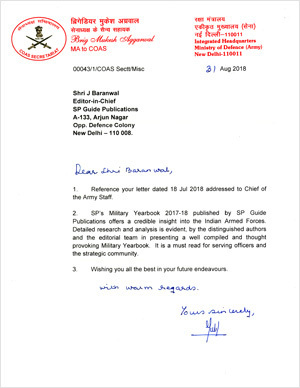 "SP Guide Publications has played an instrumental role in promoting public awareness about the Indian armed forces through a vast array of well researched and insightful publications. 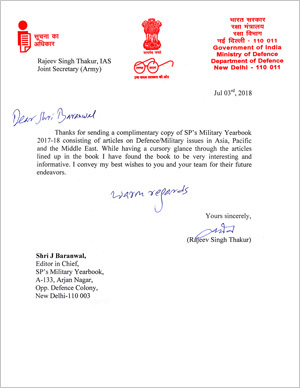 SP’s Aviation and the SP’s Military Yearbook in particular are known for their credible and authentic reportage and this has helped SP Guide Publications to carve a special niche for itself amongst the other publication houses."